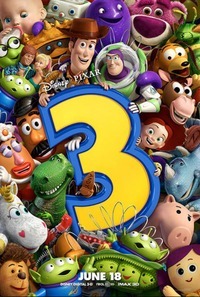 Over the past two decades, Pixar has grown from a manufacturer of high-end computer graphics hardware into one of the most consistently successful film studios of all time. Observers have always seemed eager to draw attention to this success, and in particular the ability of their output to win over both audiences and critics - two groups often perceived to have very different tastes. The fact that this success has been achieved in the notoriously unpredictable American film industry makes the story even more remarkable, leading Wired journalist Jonah Lehrer to declare in 2010 that, “Nobody in Hollywood knows anything. Pixar seems to know everything.” I would like to think here about what has led to this current reputation - a question that will also demand we delve into the function of film criticism in the age of Rotten Tomatoes. 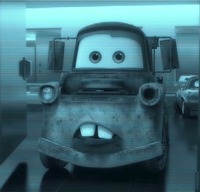 This isn’t to say that the reviews of Pixar’s latest were wholly negative. In particular, the vast majority of critics were quick to praise the look of the film, variously describing it as ‘winningly vibrant’ (USA Today, ‘visually stunning’ (Washington Post), ‘gorgeous’ (New York Times), and ‘brilliantly animated’ (Daily Mail). From my own research into the reception of the first Cars film, however, I was in the position to be struck by how extraordinarily similar the comments about the two movies were. Both received criticism for having relatively dull plots; both were seen to have spectacular visual effects; and, most importantly, both were seen as Pixar’s first ‘flop’ in a long line of critical and commercial successes. But how is it possible for two separate films to be awarded this unenviable label? Herein lies the biggest indicator of just how strong the consensus is that surrounds the studio. 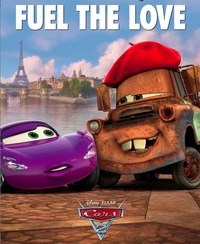 Many critics deemed Cars a ‘failure’ when it was released, but have since struggled to consolidate this assessment with Pixar’s oft-mentioned narrative of success. Individual critics have even gone so far as retrospectively altering their stance on the original film, with Bradshaw noting that it grew on him after repeat viewings with his young child. Increasingly, I’ve come to suspect that this struggle between taste and consensus is at least partly down to review aggregation websites such as Rotten Tomatoes. As anybody who has ever attempted any studies of reception will probably tell you, assessing a film’s critical performance has become increasingly difficult since the rise of the Internet. The number of reviews that are now written for most Hollywood releases is inordinately higher than twenty years ago. Faced with so many reviews from around the world, with established media publications just as readily accessible as (and occasionally functionally indistinguishable from) popular blogs and personal websites, the prospect of deciding which review(s) to read is not an easy one. A resource like Rotten Tomatoes is thus something of a godsend to the cinemagoing web user, who can now gauge the collective responses of hundreds of critics without - in theory - having to actually read a single review. Review aggregation essentially involves the quantification of criticism, which in Rotten Tomatoes’ case means assigning full reviews one of two values: ‘fresh’ (overall positive) or ‘rotten’ (overall negative). The ‘Tomatometer’ then collates this (now far more manageable) data, and produces a percentage score to demonstrate how ‘fresh’ the film is. Anything that scores 59% or less is considered ‘rotten’. Accordingly, a score of 100% on the Tomatometer by no means indicates that the film is ‘perfect’, merely (supposedly) that every critic who reviewed it was generally positive in his or her evaluation. The problem here is that any criticism that falls within an otherwise ‘positive’ review (or praise found within a ‘negative’ review) contributes nothing towards the score. Our sense of gauging a film’s critical performance is thus potentially skewed, since all caveats and qualifications are rendered invisible. In order for us to make any sense at all of this seemingly inexplicable disparity, it seems unavoidable that we must turn to thinking about Pixar more generally, and how the studio’s powerful reputation has shifted in the five years between Cars and Cars 2. The former was the first film to be released after the company was purchased by Disney for $7.4 billion - a crucial time in the history of both studios. Years of earlier industrial conflict between CEOs Steve Jobs and Michael Eisner had been accompanied by a growing sense that Disney had become too corporate and lost touch with audiences. Pixar, on the other hand, and specifically John Lasseter, was seen as nothing less than Disney’s saviour. Perhaps, then, Cars came along at a time when critics’ opinions of the studio would have been largely sympathetic and forgiving, with the U.S. and UK press both seemingly expressing a desire to see the company succeed. The film scholar and audience research specialist Martin Barker has argued that ‘judgements about success and failure are essentially rhetorical, [but] these rhetorics are part of the very arena we need to explore.’ As we have seen, the critical ‘failure’ of Cars 2 appears to have as much to do with the fact that it is a Pixar film as it does with its individual merits as a piece of cinema. The reason I find Rotten Tomatoes problematic is that I believe it exemplifies (and perhaps even initiated) a more general trend towards evaluation via consensus. 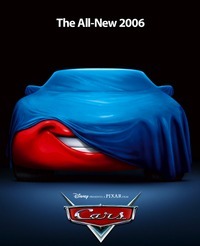 Based upon the Rotten Tomatoes’ logic of crowds, popular film websites such as Slashfilm, and Cinemablend published blogs about Cars 2 being Pixar’s ‘first bad movie’, (‘It’s official’, proclaimed the latter). These are opinions which anybody would, of course, be entitled to hold. But when critical claims such as these are presented as fact and backed up with nothing more than a Tomatometer consensus, the always blurred lines between subjectivity and objectivity in criticism are increasingly breaking down whilst also, paradoxically, providing an increasing illusion of gospel. The difficulty in separating the real Pixar from the imaginary ‘Pixar’ - the one that ‘knows everything’ - is merely one example of the wider role that consensus can play in the evaluative process. The more we ‘know’ about other people’s responses to a particular film, the harder it is to make up our own minds. That’s my theory anyway. I just wish I had some stats to prove it. This article was published on October 10, 2011.